We all know the "Big Apple" to be a tough city. But if this is your home town 'having your back', what in the world will it be like on the road? 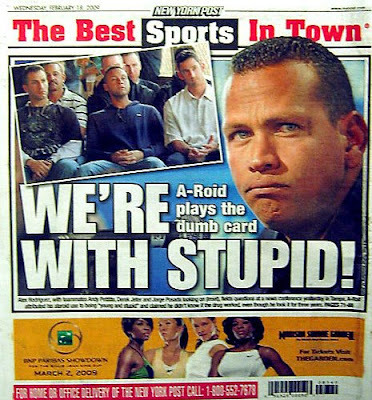 At least A-Rod doesn't have to play in Cameron Indoor Stadium in front of all the "Crazies"!